Polaris Ranger World :: Ranger Tech. I found this on another web site and just thought I would post it here. 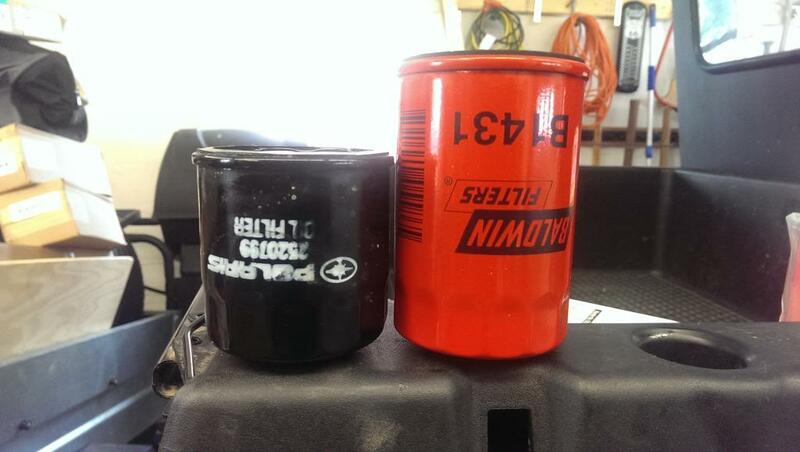 These Oil Filters have 20 x 1.5mm threads, 14 psi by-pass valve, anti-drain back valve, 2.3" O.D. gasket 2.5" to 3.5" long. K&N KN-204, about $13. Metric nut on end for easy removal. Purolator ML16817. Imported, not made by Purolator. Recommended filters. All have superior filtering. Purolator Pure One PL14612, about $6. Mobil M1-108, about $12. Made by Champion. Bosch 3300, about $6. Made by Champion. Purolator Pure One PL14610, about $6. Mobil 1 M1-110, about $10. Made by Champion. Bosch 3323, about $6. Made By Champion. WalMart SuperTech ST7317,about $2. Made by Champion. Buy these filters Automobile Filters, about 2.5 inches long. Automobile Filters, about 3.25 inches long.